Job hunting today is serious business. Simply put, the competition is tougher than ever for available jobs, which means that every aspect of your job hunting game needs to be razor sharp—including your resume. Don’t forget, in many ways your resume is your “calling card”—it will make your first impression on potential employers for you, and if the first impression you make isn’t great, chances are you’re closing the door on new opportunities. Crafting a professional and polished resume should be a top priority for you when you’re looking for a new job. 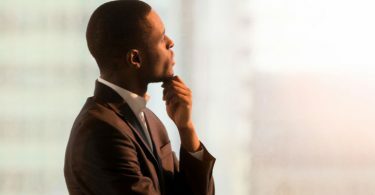 Sure, we understand that you want to stand out from the job hunting crowd, but there are ways you can make yourself stand out for all the wrong reasons, and doing so will not do you any favors when you’re trying to land your next great position. This includes the “flashy resume,” which can take on a variety of bizarre forms. 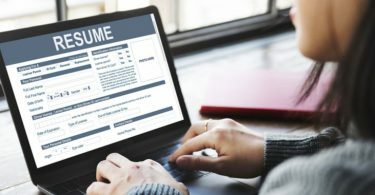 We’re all familiar with the resumes that try and get too creative and make use of multiple colors, pictures, wacky fonts, and too-clever styles—sure, your resume might get noticed by an HR professional or hiring manager, but when it does it’ll also likely not be taken seriously or it’ll be laughed right into the delete folder. Not a great start to any job hunt. VelvetJobs recently published an article that covered a wide array of font sizes to consider for your resume. A few good clean and attractive fonts that are commonly used and well-received on resumes include Times New Roman, Calibri, Cambria, Verdana, and Arial. Don’t opt for an overly stylized font that’s hard to read, even if you think it looks cool or really shows off your aesthetic. Don’t select a font that’s too humorous or cute either. Also, choose a legible font size—an 11-point or 12-point font is a good choice for maximizing legibility. Don’t try to pull off a smaller font size in an effort to fit more text on a page—if you want to shrink things down, reduce the amount of text on the page instead of the font size. In terms of typography and structure, a clean and classic look that promotes maximum readability of your resume information (which becomes even more important as you gain experience and talking points over time) is still well-received in all industries. You may have the urge to show off your creative side with a clever resume design, but resist the urge to get too cute—a design that throws your readers into a confusing maze of information will not be appreciated or followed. Also, avoid including any pictures or graphics unless it’s expected in the position or industry that you’re job hunting in. A resume design that clearly showcases each position you’ve held, along with succinct bullet points that highlight your responsibilities and accomplishments, is always a good way to go. A good rule of thumb when you’re crafting your resume is to always opt for substance over style, clarity over cleverness. Your final product should be a clear and polished document that conveys why you’re the ideal candidate for the job, and should entice readers to want to learn more about you—hopefully over a face-to-face interview, where you can really show off your stuff. Use these dos and donts for crafting a resume when you’re on your next job hunt. Good luck!